It has been a long debate if autism is completely preventable or there is a treatment method that 100% cures the disorder. Even though many specialists talk about cases with 100% positive outcome and recorded them, autism is essentially a neurological problem and it is seen from the early baby ages. However, with a good treatment and therapy, it is possible to minimize the damages autism creates. Individuals with autism need years of therapy and treatment process. Main purpose of this process is to enable the child to gain abilities that he would not be able to gain himself. With that, there are treatments where the effects of the autism are minimized and communication problems of the individual are solved. Although it is debatable that these treatments provide certain effect, they are known to be effective in the long run. To practice an accurate treatment, it is necessary to first eliminate negative behaviors of individuals with autism that constantly repeats. These individuals are prone to suffer from disorders like Asperger’s syndrome, anxiety and panic attack. Also, communication and behavior deficits cause children to react negatively, even tantrums. To achieve a positive outcome and move forward, it is necessary to prevent these kinds of reactions. First phase of autism treatment is psychiatric and neurological treatment. Various dosages of medication may be used to prevent tantrum and anxiety attacks of children. It is important to make sure to not overdose on these medication. Aside from that, neurological and psychiatric treatments are not enough by themselves to eliminate autism. The treatment is for the therapies to go smoothly, rather than completely heal the patient. Patients with autism can gain skills they need to have and live their lives without being affected by the disorder with these long therapies. 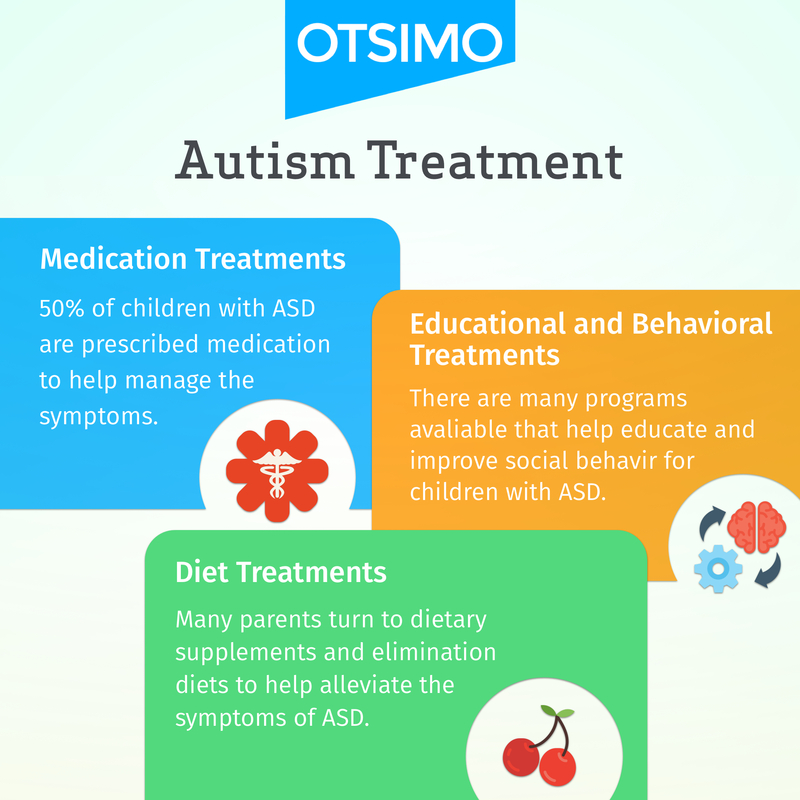 With that, diet and vitamin programs have important place in autism treatment. Gluten is a protein that is found in wheat and bakery products. Likewise, milk and dairy products contain casein. Many specialist believe that because of increased permeability children with autism have in their bowel, they have difficulty in digesting food that contain gluten and casein. This theory has not been proved yet, but gluten-casein diet is being practiced in many places. Although it has been experienced that it lowers hyperactivity, it should be noted that this diet may cause vitamin and mineral deficiency in children. Various control methods can determine if the gluten and casein proteins are digested or not. If there is no evidence that the child has this sort of problem, the diet should not be practiced. Otherwise many problems may arise. It is assumed that heavy metals in the system of children with autism cause this disorder. This assumption is not completely certified, although it has been proven with various experiments. The metals in the body of an individual are disposed of by digesting herbs like cilantro or with other medical interventions. Also, some medication can be used to remove metals chemically. Since this is not an evidence-based method, it is better not used. However, there is no harm practicing this on children who are detected to have heavy metals in their system. But this situation has not been seen in all children with autism. With that being said, it is important to remember that this practice has fatal risks. The purpose of this method is to normalize different brain waves that are not normal with various exercises. Brain waves are harvested through electrodes put on child’s head and then transferred to computer. These brain waves that are transferred to computer are made into an animation and showed to the child. While the individual with autism is watching his brain waves that is made into an animation that he can comprehend, he changes his mental activity. The animation is turned into a computer game. A point is earned every time the brain waves are normalized. It is proven with many researches that this is an effective method. With long term practice, children are known to gain positive behavior. When done with integration therapies, this method has positive effect on learning and skill-developing abilities of a child.